The mattress cover is a highly essential moving tool that helps protect and preserve the quality of your mattress while you’re in transit. However, how do you know which mattress box to invest your money in? The material that the cover was made of will go a long way in determining whether or not you will be able to make use of it. Essentially, it should be strong enough to prevent any damage from getting to your mattress, but it should not be strong enough to prevent you from carrying or maneuvering it. There is a balance between strength and durability that should be managed, and you need to ensure that this mattress is covered. Without a doubt, your wallet is something that you always need to put into consideration. In truth, mattress covers actually vary in cost (especially when you consider the number of moving companies that sell them in this day and age). Make sure to consider your budget and ensure that you are not overpaying for the specialty box. However, while trying to look out for your pocket, it is also important that you don’t compromise on quality. When it comes to moving materials like mattress covers, quality is a factor that can very well define how well your moving process can be, and quality is something that costs money. You can’t get a good quality mattress cover for a cheap price, so make sure to remember that as well. It is fine for you to worry about your wallet and how much you are going to spend, but make sure that you don’t end up compromising on quality in the process. To help with this, you can check to compare various prices to get the best deal for you. 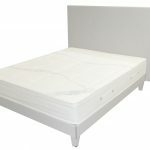 One of the most important factors that you will have to consider when buying a mattress cover is its size and how well it measures up in relation to the size of the mattress in question. Mattresses come in various sizes, and so do their covers. You need to ensure that your cover is able to accommodate the physical dimensions of your mattress and that it is able to work with it seamlessly.